Which locker locks are best for securing lockers at gyms or health clubs? Last week we attended FIBO, in Cologne, Germany. It’s Europe’s largest trade show for fitness, wellness and health. And large it certainly was! There were eight massive exhibition halls filled with the latest developments in sports training equipment, nutrition, and beauty – in fact anything you might need if you run or work in a health club, gym or fitness centre. 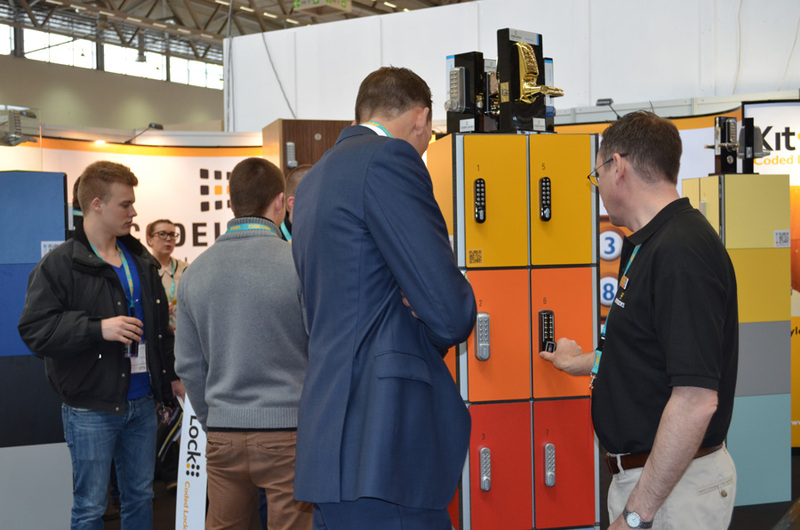 It’s inevitable that locker keys will get lost or broken, and the problem of replacing keys – or getting locker locks fixed – escalates depending on how many lockers are in the changing rooms. The more lockers you have, the more time you are likely to spend managing them. Champneys Health Spa Resorts recently replaced all of its key-operated lockers with KitLock, as misplaced keys became expensive to replace on a regular basis. With KitLock digital locker locks, the user enters a four-digit code rather than using a key to access their locker. If someone forgets a code, the locker can be opened using a master code, which is quicker and cheaper than replacing lost or broken keys. It is also more convenient, as the locker doesn’t have to be ‘out of action’ while you wait for the lock to be fixed. This appears to be a common problem in gyms and spas with private memberships. People take the locker key home with them, effectively ‘claiming’ the locker for their own personal use. At The Fitness Society in Berkhampsted the problem became so widespread that up to 80% of the lockers were locked, even when the gym was quiet. Using KitLock, you can set a time limit so that the locker automatically opens after a set period. The Fitness Society set this limit at four hours, giving their members plenty of time to workout, use the sauna or sunbed, shower and have a coffee or a chat. If you’d like to maximise the availability of locker space at your gym or health club, then why not give KitLock a try? It’s simple to operate, easy to manage and in our opinion, the best-looking locker lock on the market!